WECAI Domains ~ Need a Domain name or hosting solution? Domains starting at $8.77! With every domain get: forwarding/masking, change of registration, parked page w/domain, domain name locking, total DNS control! Visit today! Redhead Marketing Inc. ~Redhead Marketing, Inc specializes in creating websites using WordPress CMS. Wordpress is an ideal framework chosen by many top internet marketers, authors, consultants and professionals today. Wordpress is easy to use, manage and leverage to build a solid online presence.WordPress is popular among web developers and laypeople alike. Get started using the WordPress platform and the many tools, templates and options available today. 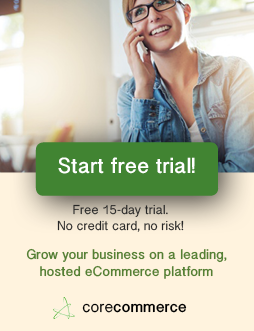 Customized to suit your needs, integrating lead pages, shopping carts, forms, hosting and more! SiteGround Webhosting -Web hosting with heart. Latest speed technologies. Unique security solutions. Amazing technical support – highest ratings in hosting. Different hosting platforms to suit every need! Each type of hosting service Siteground provides is further optimized with unique performance tweaks! Siteground is the ONLY hosting platform we currently recommend. Powerful backup keeps your business moving forward – Protect the business you’ve built with reliable, automatic cloud backup from Carbonite. Love your site. Thank you for posting this. I’ll definitely check to this site to read more and inform my neighbors about your site. Very nice post..!!! Great job you have done. I am so impressed with your post. Thanks a lot for sharing it with us. Nice. Thanks for doing such a good job. I’ll come to this site to see what’s new and inform my coworkers about this website.